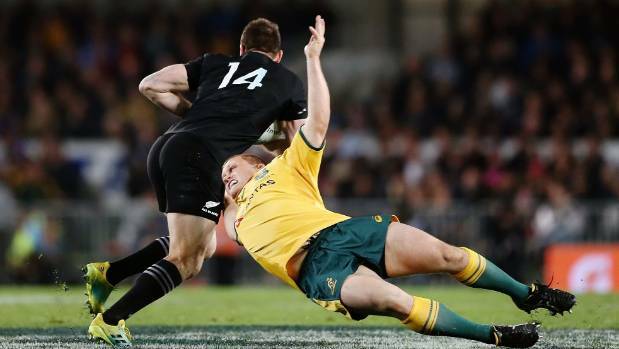 Beauden Barrett stars as All Blacks retain Bledisloe Cup over Wallabies. The All Blacks are winning over their northern critics with even Stephen Jones admitting their latest Bledisloe Cup victory “had elements of a complete performance and tilted world rugby on its axis”. 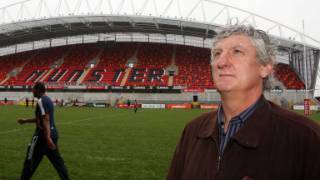 Jones has been typically harsh on New Zealand and southern hemisphere rugby lately, belittling the Crusaders’ Super Rugby triumph and labelling the Rugby Championship as “the second division of test rugby for southern softies“. 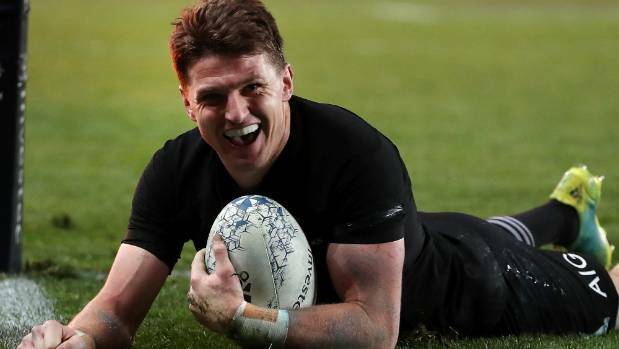 But even he was left in awe of New Zealand’s 40-12 triumph over Australia at Eden Park highlighted by Beauden Barrett’s four tries. 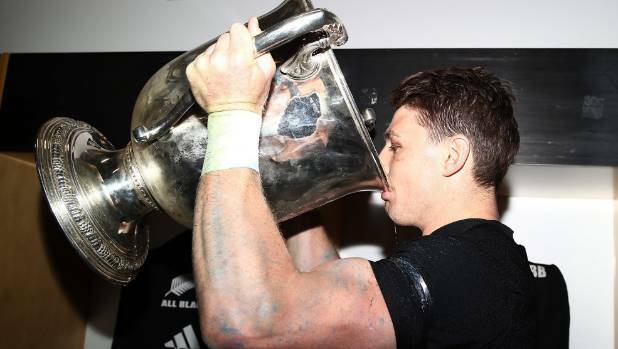 The All Blacks’ four-try hero Beauden Barrett drinks from the Bledisloe Cup. Jones said the “supercharged” Barrett had picked off Australia “with his pace, skill and vision on the back of the communal ruthlessness of the team”. He acknowledged the All Blacks’ counter-attacking genius that included “forwards often handling like backs” and felt by the end of the game they “were able to do whatever they pleased”. 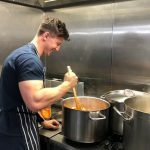 New Zealand’s effort had provided a measuring gauge for Six Nations champions Ireland and the rest of the teams eyeing the world champions. 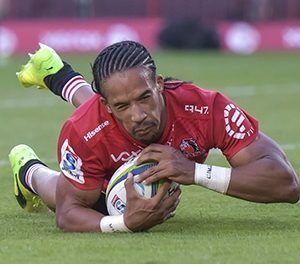 “This win had elements of a complete performance and tilted world rugby on its axis. It rather devalued Ireland’s fine test series win over Australia, it gave the lie to thoughts that the rest of the game was catching up with New Zealand,” Jones wrote in the Sunday Times. Stephen Jones reckons it might be better to not have possession against the ABs, such is the countering skill of Beauden Barrett. 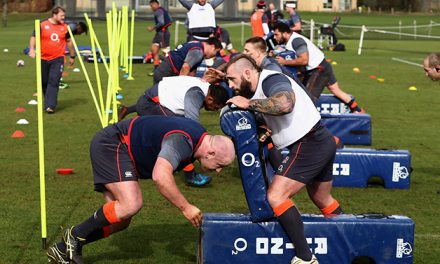 Jones also offered some sympathy for the Wallabies who face an annual nightmare against the All Blacks. 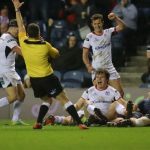 “The team is being shattered but northern hemisphere teams might well suffer the same fate if they had three All Black fixtures per season, sometimes two of them in New Zealand. Beauden Barrett is far from the finished product, All Blacks coach Steve Hansen says. “Questions concerning the reign of Michael Cheika, the Australia coach, will be asked. His record is poor. But he does have an ability to galvanise teams going into the World Cup. His employers really must hold their nerve. Few teams can look accomplished with an opponent as devastating as New Zealand. The Telegraph also marvelled at the performance of Barrett and All Blacks performance. Ben Smith leaves Tom Robertson in his wake as the All Blacks launch another attack against the Wallabies. “With a display full of electric, well-balanced running, Beauden Barrett was the main beneficiary of how, once more, New Zealand gorged on turnover ball and smoothly picked apart opponents that have not beaten them at Eden Park since 1986,” Charlie Morgan wrote in the Telegraph. He felt there was an intimidating message underlying this latest victory with New Zealand having the luxury of integrating Dane Coles, Sonny Bill Williams, Ryan Crotty and Rieko Ioane back into their side at some point over the remainder of the Rugby Championship. The Guardian described Barrett as the “chief executioner as the All Blacks sliced the Wallabies apart” with the match “one-way traffic” in the second half.